One of the latest shopping complex in Georgetown is located next to the Komtar and Prangin' Mall. 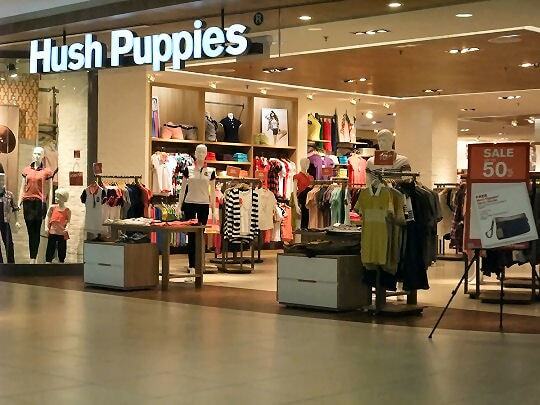 The name of this mall is: 1st Avenue. The malls are connected by a walkway. So it is easy to move from one to another mall. Komtar is actually faded glory, the Prangin 'Mall is especially popular among the youth and cheap shoppers. The third Mall, 1st Avenue, has expensive shops, but also cheap shops. It is therefore quiet shopping. You can go shopping from 10 am to 10 pm. 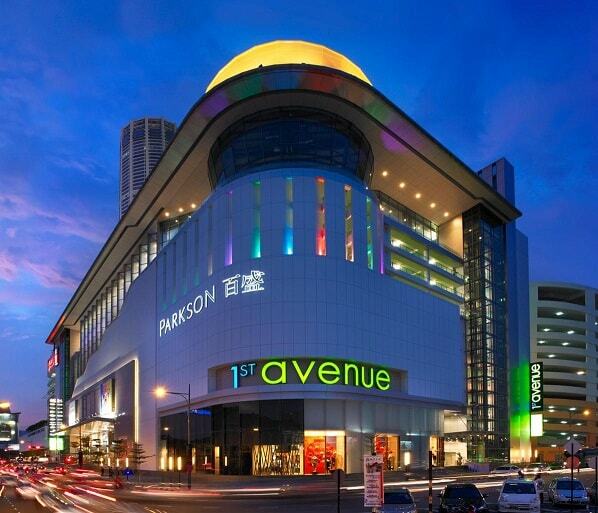 1st Avenue is located, as in the Prangin 'Mall Parkson department store with four floors. 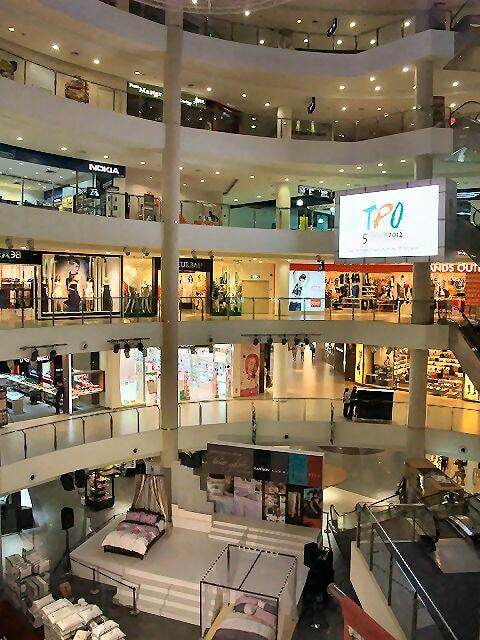 This is the largest department store chain in Malaysia. A stylish city mall that offers fashion, leisure, entertainment and a slew of dining outlets for the style conscious urbanites living and working in Penang. The highlight concepts in the mall include a mall-in-mall concept at the lower ground level named “Underground” and a lifestyle and entertainment enclave on Level 8 called “Cloud8”. The level of Cloud8 has the leisure and entertainment focus of the mall, Cloud8 features a double volume glass curtain wall that allows a panoramic view over the city of Georgetown. This level houses a Cineplex, family karaoke, a yriad of dining choices and as well as an iconic pavillion restaurant. In total there are seven floors in this beautiful mall 1st Avenue. The lower floor not included. The lower ground includes fast-food restaurants, shops with fashion items, accessories, art, mobile phones and computer games. The "lower ground" is especially focussed on young people and those who are "young at heart". This is the meeting place for the young. On the ground floor there is an information center, where you can go for information. Besides shopping you can also enjoy a coffee at Starbucks or Dome. At the first, second and third floor you will find the shops of international stature, such as Coach, Esprit, Giordano, Camel, Hush Puppies, Sony, Nokia, Lois and Betty Boop. At the fourth floor there is a large supermarket of Carrefour. At the fifth there are several offices and a prayer room for Muslims. At the sixth and seventh floors you can park the car. There is plenty of room for the car. Parking costs only a few ringgits. The escalator can bring you quickly to Cloud8, where the cinemas and entertainment cafe are. From this floor you have a splendid view over Georgetown through a thick glass wall. There are in the 1st Avenue 3 ATMs, where one can get money out of the wall. These are located on the ground floor and the fourth floor at the Carrefour. Here are two ATM's. On each floor there are clean public toilets.